Mr. Kindred is a Senior Vice President for Richard Bowers & Company where he is responsible for the leasing and marketing for the company’s office portfolio as well as third party asset services and tenant representation. Mr. Kindred has been in the commercial real estate business since 1987. Prior to joining Richard Bowers & Company, he worked with such real estate firms as Panattoni Development, Cousins Properties, Regent Partners and Lincoln Property Company where he was involved with leasing, acquisition, development, repositioning services and corporate service activities. Since 1987, Mr. Kindred has been involved in over 5 million square feet of office properties including such notable projects as the 1.2 million square foot Bank of America Plaza, The redevelopment of the mixed-use Tower Place complex, The Equitable Building, the redevelopment of 730 Midtown, Eleven Seventeen and Overlook III. 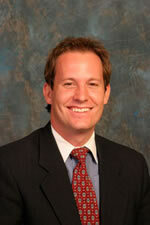 Mr. Kindred is a native of Florida and a Board Member of Cure Childhood Cancer. He also actively enjoys coaching youth baseball, and serves in varying capacities within Dunwoody United Methodist Church. Ash Parker closed over 240 lease and sale transactions in the past 6 years and was #1 Producer in 2013, 2014, 2015 & 2016 at Richard Bowers & Company (RB&Co). Mr. Parker is a Vice President and has fourteen years of transactional experience at RB&Co., where he specializes in third party office leasing and tenant representation. 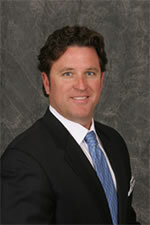 He has also represented clients in over 60 sale transactions including bank-owned REO property dispositions. Mr. Parker’s transaction experience also includes strategic planning and portfolio management for office and warehouse facilities. He provides comprehensive financial analysis focused on balance sheet implications and demographic analysis centered around potential customer bases. Mr. Parker can advise clients on identifying tax credits available through opportunity zones and less developed census tracts. Ash Parker has the track record to work on any type of real estate transaction and emphasizes diligence, flexibility and speed in his commitment to client service. In 2012, Ash Parker became one of the country’s first National Association of Realtors members to receive the GREEN designation. Mr. Parker is recognized as a Life Member of the Atlanta Commercial Board of Realtors Million Dollar Club for his consistently high transaction volume each year, including finishing as a Top Five Producer at Richard Bowers & Company in multiple years. Mr. Parker is acknowledged as a contributor in the book, The Inside Track to Careers in Real Estate, which was published by the Urban Land Institute and written by Stan Ross, former Vice Chairman for Ernst & Young’s Real Estate Division. 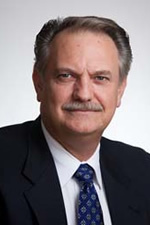 He has published articles in widely read periodicals including Dorey’s Office Guide, Real Estate Observer, and Bowers Digest, and has been quoted several times in the Atlanta Business Chronicle, CoStar Advisor, GlobeSt.com and CityFeet. Ash Parker grew up in Houston, TX and has lived in Atlanta, GA since 1998. He is an advocate of children walking to school, and for the past five years, Mr. Parker has chaired the Safe Routes to School campaign at Morningside Elementary School. He initiated and successfully won a federal application for $500,000 which was spent on improving the sidewalks and intersections in the Virginia Highland and Morningside neighborhoods. Mr. Parker also coaches Haygoods Hoops and DHYS sports teams each year for his two children. Mr. Parker also appeared as an extra in the movie, Stroke of Genius: The Legend of Bobby Jones. Ash usually knows his Halloween costume months in advance, and has been known to sport a handle bar mustache or a monkey tail beard. Leslie has worked with RB Management Services, Inc., for over 5 years, and has over 12 years experience in the marketing and management of both residential and commercial real estate. 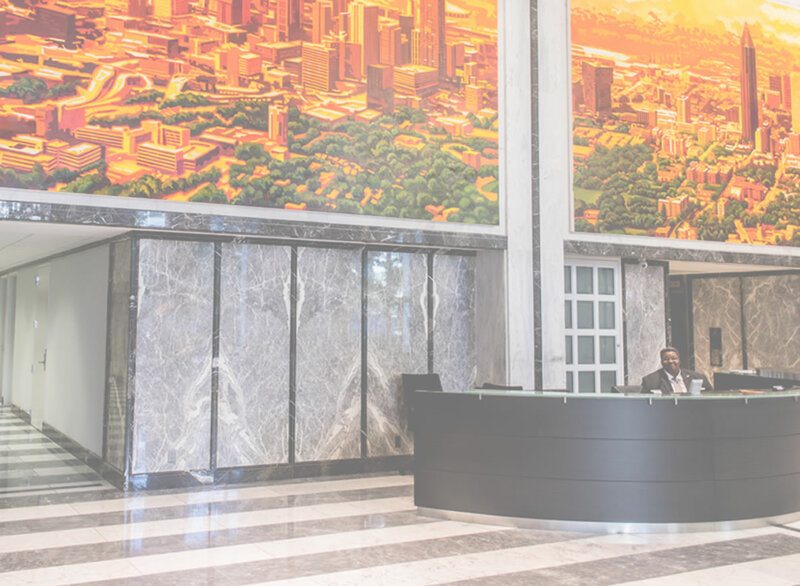 Leslie’s responsibilities with RB Management focus on marketing 260|270 Peachtree along with the daily operations of 675,000 square feet of office and retail facilities. Leslie’s attention is on organizing tenant appreciation functions, tenant relations, maintaining full buildings and the day-to-day activities of management and maintenance functions. She communicates with tenants, property management, and coordinates with the leasing teams. Leslie presently oversees two trophy tower buildings in Downtown Atlanta managed by RB Management. She is in charge of 260 Peachtree, a 27 story office building of 308,213 square feet, as well as 270 Peachtree, a 22-story high-rise tower in downtown Atlanta consisting of 337,032 square feet. Among the major corporations in these buildings are: Georgia Chamber of Commerce; Habitat for Humanity International headquarters; State Board, Schulten, Ward & Turner; Richard Bowers & Co.; Hollowell, Herring & Foster; EVS Translations; Gourmet Services; Think Interactive, Inc.; NeighborWorks America; Communities In Schools Atlanta & Georgia; and Atlanta Magazine to name a few. Leslie successful helped increase the occupancy from 73% – 91% at 260 Peachtree and from 83% – 89% at 270 Peachtree. 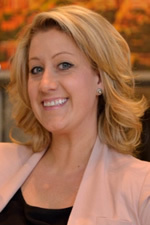 Leslie’s experience includes 9 years’ experience in the real estate industry. After graduating from the University of Tennessee (Go Vols! ), she worked in public relations, advertising, marketing, leasing, sales and property management for real estate. In her spare time, Leslie enjoys travel, boating, snow skiing, concerts, extreme adventures and exploring. 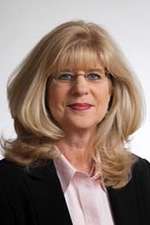 Nancy Dooher, Project Manager for 16 years with RB Management Services, Inc., has over 29 years experience in the management of commercial properties. Nancy’s responsibilities with RB Management began with the daily operations of 1,000,000 square feet of office and retail facilities including suburban office parks, Shadowood Office Park and Corporate Spectrum. Nancy’s focus is on the day-to-day activities of management and maintenance functions while maintaining good tenant relations. She coordinates with construction management in tenant build-outs, assists with contractors and outside vendors, and coordinates with the leasing teams. Nancy presently oversees two urban office buildings in Atlanta managed by RB Management. She is in charge of 260 Peachtree, a 27 story office building of 308,000 square feet, as well as Southern Company Center, a 22-story high-rise in downtown Atlanta consisting of 338,000 square feet. Among the major corporations in these buildings is The Southern Company, parent of Georgia Power, Southern Company GAS, Alabama Power and Gulf Power. At RB Management Nancy has established herself as a valuable team leader, presently charged with overseeing tenant relations, security operations and parking, approval of invoices, preparation of yearly budgets, and monthly variance reports which need to be provided to RB Management’s clients. She manages building engineers in the coordination of maintenance functions, shipping and receiving, landscaping contractors, and supervises in-house staff as well as outside vendors. Nancy’s experience includes 9 years with A.G. Spanos Development, where she began as Administrative Assistant. Among the list of properties for which Nancy assisted, is Corporate Spectrum, a five-story office building in Northwest Atlanta. Corporate Spectrum’s tenant list included GECC, Geologistics, Shorter College, and Executive Suites. Prior to joining A.G. Spanos, Nancy spent 8 years handling the accounting for 22 nursing homes in Atlanta. In her spare time, Nancy enjoys travel, boating, and family outings. Richard Shaw, Senior Vice President for RB Management Services, Inc., received his Bachelor of Business Administration from National University in Irvine, California. A veteran of the United States Marine Corps, he is a graduate of the Institute of Real Estate Management, earning the Certified Property Manager designation, and is the author of several articles on property management. Richard provides operational and strategic leadership for a variety of private, public and institutional clients. Primarily responsible for the daily operation of a portfolio of commercial office properties. His duties include review and approval of all contract, operational, and capital expenditures, preparation and implementation of budgets, variance analysis, and monthly reporting to owners. Maintaining regular communication with owners, valuable tenant relations, assisting with the preparation of proposals to property owners, and is an integral part of auditing and enforcement of lease terms. Richard supervises the performance of outside vendors and in-house staff regarding project objectives, energy conservation, major renovations and contract repairs. Richard’s many years of experience include serving as Contract Administrator for Baskin-Robbins USA, Co. His duties entailed calculating and verifying common area pass-through and reconciliation’s, CPI rent increases, property tax expenses, percentage rent payments, and he was in charge of timely payment of all lease obligations. Included in his career is a term with The Law Offices of Nancy Schauer in Los Angeles where Ms. Schuaer was the court appointed Receiver for properties during foreclosure. Rick was responsible for the daily operation of his division with a diverse portfolio of residential, commercial and industrial properties. While under his management the division grew from 7 properties to 23 properties in four months. He negotiated leases, supervised vendors, and was in charge of overseeing and maintaining tenant satisfaction. He evaluated properties and prepared proposals for fee management accounts to owners and financial institutions. He was also in charge of developing operating plans, budget projections, implementation, hiring staff, and working with paralegals and attorneys on legal issues. Richard is a National Level competitor in Olympic style fencing, and enjoys cooking and traveling.